So, as usual the back and white version of this printable paper doll happened last week and this week we have the full color version. Somehow, in color, the paper doll looks less angry to me. Interesting how that works, isn’t it? On a totally unrelated note, a reader posted some images of Little Pixie colored in a garden on a French forum. I think she did a fantastic job and she has a blog, so check that out. 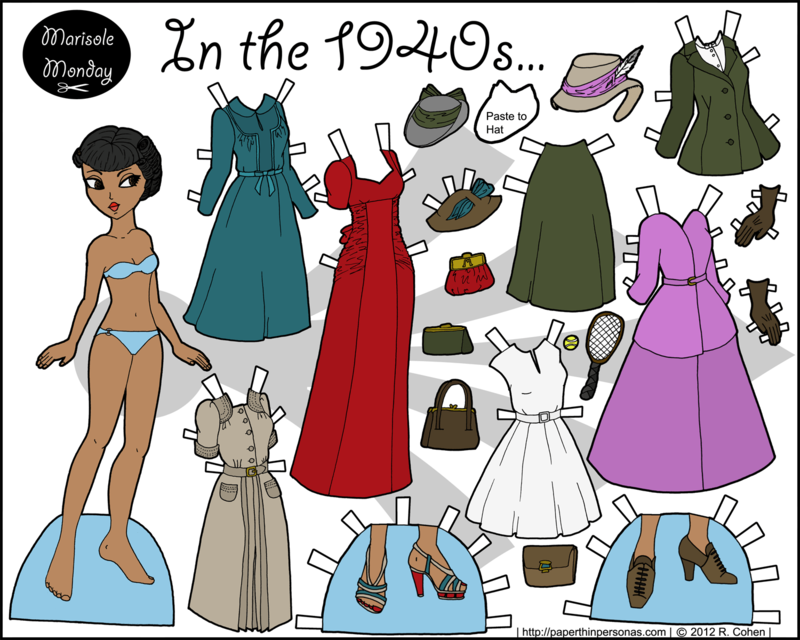 Sometimes when I see my paper dolls colored by someone else, I sort of forget that they are my work. I am thinking of putting up a page to show off some of the work other artists have done based on my work, like Toria’s Showcase. Are there people out there with photos or scans who would be willing to contribute? If you wanted them, I’d be happy to contribute. That’s so excellent. Thank you Kat. Thank you, Toria. I was not pleased with everything about her, but I’m glad you like her. I’m a little confused on the purple dress..
I’m sorry to hear that you find the purple dress befuddling. Is there a question about it, I can answer?